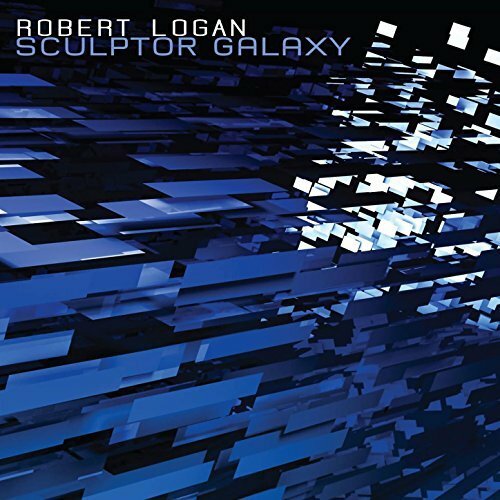 Before his latest release Sculptor Galaxy, I had little knowledge of Robert Logan other than his two collaborations with Steve Roach in 2016, Biosonic and Second Nature, both excellent but very different from one another, and also very different from the release at hand. He also has around half a dozen releases prior to those that, based on the three above should definitely be worthy of further investigation. Sculptor Galaxy is a continuum of ten tracks that seem to combine a lot of fresh ideas with the classic electronics of many who have come before him, including Vangelis, Jarre, Tangerine Dream, Michael Garrison, and early Steve Roach (the latter is credited as the producer here, with an incredible mastering job by Howard Givens of Spottd Peccary), but along with this he has blended and juxtaposed acoustic sounds and field recordings into his work, which takes it into some unexpected directions. Sequences are used generously, but layered within are majestic melodies and textures that convey a strong sense of beauty and vibrance, making for a truly adventurous work of magnificent structures and curious inventive pathways, much like a sequence of short soundtracks tied together by a thread of diverse themes. With headphones (oh yeah!) the listener will get a true three-dimensional audio experience that will surpass expectations, creating a whole world that one can easily get lost within. Logan’s electronic practice doesn’t involve sticking within conventions, instead breaking out of the barriers that have kept electronic music shackled for far too long. Take track five “The Weaver” as an example, a beautiful but subtle melody emerges out of dense atmospherics, while in the background some vaguely recognizable sounds of stringed world instruments and gamelan gongs follow closely behind that melody, adding additional textures that build up the strength of the whole. The brief “Senescence” builds its strength via a warm, wandering piano melody backed by subtle strings and shimmering electronic counterpoint. The entirety of the disc takes the explorative route in lieu of the predictable, and for that I’m calling Sculptor Galaxy one of the best electronic based releases of 2017. Find a copy before it disappears.